In most forms of entertainment, friendships—and conversations—between women are all too often portrayed as backstabbing, competitive, or simply perfunctory...About Women: Conversations Between a Writer and a Painter is an antidote, if an imperfect one, to this cultural weakness. At its best, About Women gives you a feeling of access to the shared salon of two brilliant women. 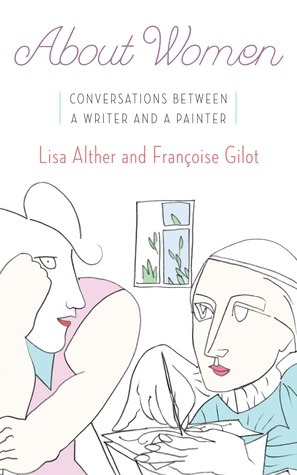 But sometimes Gilot overwhelms Alther, and it begins to read like an interview in which a deferential interviewer struggles to focus her talkative subject. In less thoughtful hands, this experiment might be boring or feel sanctimonious: After all, 256 pages of uninterrupted sociological discourse is not the easiest sell. But while some sections do lag, the friends of 25 years have a provocative way of digging into whatever they’re discussing that keeps things generally interesting. What did you think of About Women: Conversations Between a Writer and a Painter?